Agreement to these Terms and Conditions constitutes execution of an agreement for use of the services provided by Althea Inc. and its wholly owned subsidiaries, Althea Beauty Sdn. Bhd. and Althea Beauty Pte. Ltd., (collectively, “Althea”) and is agreed upon by Althea and the purchaser who buys products on Althea’s site (the “Site”). Any transaction executed through Althea’s service is governed by the laws of the Republic of Korea (“Korea”) and any statement herein with regard to time, period and place is based upon the time, period and place of Korea. When you visit Althea or send e-mails to us, you are communicating with us electronically. You consent to receive communications from us electronically. We will communicate with you by e-mail or by posting notices on this site. You agree that all agreements, notices, disclosures and other communications that we provide to you electronically, satisfies any legal requirements that such communications be in writing. All content included on this site, such as text, graphics, logos, button icons, images, audio clips, digital downloads, data compilations, and software, is the property of Althea or its content suppliers and protected by Korea and international copyright laws. The compilation of all content on this site is the exclusive property of Althea and protected by Korea and international copyright laws. Althea grants you a limited license to access and make personal use of this site and not to download (other than page caching) or modify it, or any portion of it, except with express written consent of Althea. This license does not include any resale or commercial use of this site or its contents; any collection and use of any product listings, descriptions, or prices; any derivative use of this site or its contents; any downloading or copying of account information for the benefit of another merchant; or any use of data mining, robots, or similar data gathering and extraction tools. This site or any portion of this site may not be reproduced, duplicated, copied, sold, resold, visited, or otherwise exploited for any commercial purpose without express written consent of Althea. You may not frame or utilize framing techniques to enclose logo, or other proprietary information (including images, text, page layout, or form) of Althea without express written consent. Any unauthorized use terminates the permission or license granted by Althea. You are granted a limited, revocable, and nonexclusive right to create a hyperlink to the home page of Althea so long as the link does not portray Althea, or its products or services in a false, misleading, derogatory, or otherwise offensive matter. You may not use the Althea logo or other proprietary graphic as part of the link without express written permission. If you use this site, you are responsible for maintaining the confidentiality of your account and password and for restricting access to your computer, and you agree to accept responsibility for all activities that occur under your account or password. Althea does sell products for children, but it sells them to adults, who can purchase with a credit card or other permitted payment method. If you are under 18, you may use Althea only with involvement of a parent or guardian. Althea reserves the right to refuse service, terminate accounts, remove or edit content, or cancel orders in their sole discretion. Each member is restricted to one Althea account. Account verification is done thru verification of the member's mobile phone number. If you believe there is an error with the account verification process, please contact Althea by email (help@althea.kr). Reward Points may be awarded to accounts based on certain activities such as participation in promotional activities, and refunds. Points may used as credits for future purchases on Althea subject to the terms and conditions of certain promotions. Unless stated otherwise, points will expire 30 days after the grant date. Points may not be redeemable or exchangeable in cash and/or products, nor transferrable to other accounts. Althea reserves the right to cancel or revoke points from a user's account at its own discretion. a) Each individual promotion will come with its own set of specific significant terms and conditions (the “Significant Terms”) in addition to these Standard Promotional Terms and Conditions (“Standard Promo Terms”). You should therefore read these Standard Promo Terms in combination with the applicable Significant Terms for any contest, bonus or promotion (referred to as a “promotion” or “bonus” or “contest” or “competition” interchangeably throughout these terms) you wish to enter. b) If for any reason, a promotion does not have Significant Terms, the promotion will default to these Standard Promo Terms only. Where such Significant Terms conflict with these Standard Promo Terms, the Significant Terms will take precedence. a) Althea reserves a zero-tolerance policy towards bonus abuse, fraud, taking unfair advantage of us and/or other suspicious activity, and Althea reserves the right to block and remove bonuses, associated wins and/or credits from accounts that Althea suspects, at our sole direction, are involved in such activities or behaviours. b) Althea reserves the right to review transaction records and logs from time to time, for any reason whatsoever. You hereby consent in advance to same. If, upon such a review, it appears that you are participating, or attempting to participate, in strategies that Althea, in our sole discretion deem to be (i) promotional abuse; and/or (ii) irregular usage; Althea reserves the right to deny, withhold, revoke or withdraw your entitlement to any promotion, winnings or bonus, or terminate your access to the Website and/or block your account. PLEASE NOTE that in such circumstances, Althea shall be under no obligation to refund any funds that may be in your account other than your original deposit amounts. • Using multiple accounts to claim a promotion, win, credit, bonus offer more than once. a) Althea reserves the right to withdraw, modify, discontinue or terminate any promotion at any time, and without prior notice. All promotions are intended for Althea customers only and Althea may at our sole discretion limit the eligibility of customers to participate in any promotion. b) Althea reserves the right in our sole discretion to deny you from all future promotions. Once you have been informed that you are no longer eligible for promotions, and should you take up any promotion, all winnings from that promotion will be confiscated. a) Only one coupon promotion is awarded per account per customer meaning one per email address, telephone number, credit or debit card and/or e-payment account, or shared computer (e.g. school, public library or workplace). If you are found to be in breach of this clause, all winnings will be confiscated. b) Only one valid coupon can be redeemed per person and coupons cannot be used in conjunction with any other promotion unless otherwise stated. c) Coupons can be withdrawn or terminated at any time and Althea reserves the right to refuse customers the use of coupons at any time. a) Any 15% discount received from a first purchase is always considered as a Welcome Gift. b) The Welcome Gift is strictly for new customers. c) The Welcome Gift is to be validated with the coupon code. d) No minimum order value applies. f) The Welcome Gift offer may not be claimed in conjunction with any other promotions ongoing simultaneously to the welcome offer requesting a voucher code application. Althea reserves the right to amend this Welcome offer and its terms at any time. a) Any competition/contest that Althea operates is only open to individuals above the age of 18 and who provide the necessary details and information as required by each individual competition/contest, communicated via social media, email or otherwise. c) All of our competitions/contests expire at a time and date as set out in the competition/contest details. Should you submit an entry after this date then it will be automatically rejected. d) Unless otherwise stated, Althea only accepts one entry per person per competition/contest. e) Althea reserves the right to cancel or amend any competition/contest and the applicable terms without notice in the event of a catastrophe, war, civil or military disturbance, act of God or any actual or anticipated breach of any applicable law or regulation or any other event that is beyond of our reasonable control. Any such changes will be notified to entrants (or the winner, as the case may be) as soon as is reasonably possible. f) Althea is not responsible and/or liable for inaccurate prize details, or the acts or omissions, by any third party connected with a competition/contest. g) Our decision in respect of all matters to do with the competition/contest will be final. a) Althea may withhold any credits, bonuses, coupons, loyalty points or prizes awarded as part of a promotion at our discretion. b) Althea reserves the right to verify the eligibility of all participants. 1. Althea offers a 30-day unconditional refund to all of its members. 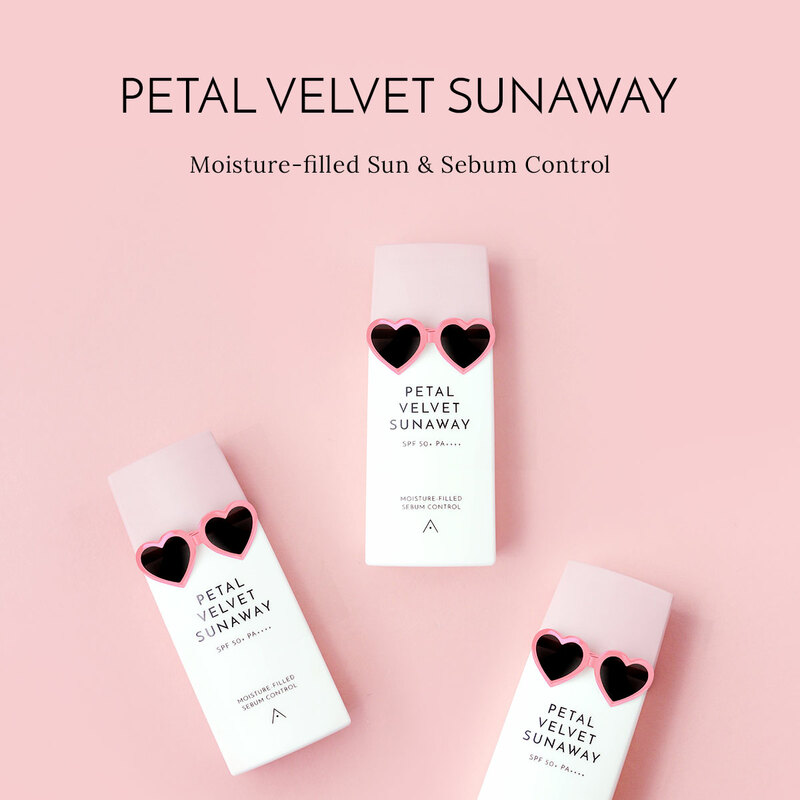 If you are not completely satisfied with your purchase, you must contact Althea by email (help@althea.kr) within 30 days upon receiving the product and we will provide you with some simple instructions on returning your product for a full refund, subject to the following terms and conditions. At any time, Althea reserves the right to revoke any and all benefits of the 30-Day Refund (including the right to cancel a previously awarded refund, if it is found that a customer has attempted to or has violated or circumvented the 30-Day Refund Terms & Conditions. If the 30-Day Refund is being intentionally abused or manipulated to circumvent its intent, Althea reserves the right to reject future 30 Days Refund claims from any persons who participated in such actions. a) A member may terminate the Use Contract at any time by providing notice to the Althea, provided, that the member has taken the necessary actions to finalize any and all transactions at least seven days prior to the date of the termination notice. b) A member shall be responsible for any consequences arising from the termination notice within said period; and upon termination of the Use Contract, Althea may withdraw all benefits given to the member. iii) circumstances in which Althea finds it necessary, in its judgment, to refuse the Althea services. b) If Althea terminates the Use Contract, Althea will notify the member through e-mail, telephone or other means. The Use Contract shall be terminated at the time when Althea notifies the members of its intent of termination. c) If Althea terminates the Use Contract, these Terms and Conditions shall continue to apply with respect to transactions executed before the termination. d) When the Use Contract is terminated pursuant to this Article, Althea may withdraw any benefits given to the relevant member. 2. Althea will notify the relevant member by phone or e-mail prior to taking any measure specified above, but if the member cannot be reached, or in cases of urgency, Althea may take the measure first and notify the member after the event. 3. Members may dispute the measures taken by Althea under this Article if they have grounds to do so. 1. The delivery period shall be from the day following the day on which payment receipt is confirmed to completion of delivery. 2. Public holidays, weekends and any other days during which delivery is impracticable due to a force majeure event are not included as part of the delivery period. You are responsible for the shipping information while placing the order. You can contact us for updates to your shipping information if your order is not shipped. Though we make full effort in ensuring your shipping information is updated in our system, we do not guarantee that this update will be correctly reflected on your order depending on various situations. Once your order is shipped, changes are impossible. In the event that delivery cannot be completed due to absence, invalid, or incomplete shipping details, the parcel will be returned to your local post office pending further action. Depending on your local courier's policy, you will need to claim your parcel from the post office within the stipulated time frame before it gets returned back to Althea. Althea may also make an effort in notifying you should this happen. We can offer you the re-shipment option however, you may be charged extra shipping costs for this service. The re-delivery process can take up to another 30 days. You may also request for a refund for this error (minus the International shipping charges). Returned parcels will be kept for 3 months before being permanently dismantled. You cannot make any claims for parcels that has been dismantled 3 months after we notified you of the delivery error. If the address was inputted incorrectly or it was an existing address or if someone accepted the parcel and did not return it, Althea will not be held responsible. Please contact our Customer Service at help@althea.kr if you do not receive your parcel after 8 business days. All internationally shipped items from Althea may be delivered at no additional cost to you. These products may be subject to customs fees, GST, and import duty, where applicable, at the point of importation. According to Singapore Customs International order above S$200, standard GST may be subject to a positive tax rate of 7%. If you are asked by Customs or our logistic partner to pay duties, or requested to present a personal ID, please follow through to ensure your parcel can be delivered. The buyer are responsible for any VAT, tariff, duty, taxes, handling fees, customs clearance charges, etc. required by your country for importing consumer goods. Althea do not collect this beforehand, and cannot give you an estimate of the cost - charges may vary around the world. NOTE: When customs clearance procedures are required, this might cause delays beyond our original delivery estimates. Loss or damage that occurs during shipping by a carrier selected by Althea is Althea's responsibility. Loss or damage that occurs after shipping is the customer's responsibility. 1. A purchase order may be cancelled within 48 hours from the date order was placed; as long as it has not shipped. No cancellations nor changes are allowed after 48 hours. 2. A purchaser requesting Althea’s approval to return or exchange an item must submit clear evidence of the product defect. Shipping costs of returns may apply subject to the cause of the return. (e.g., return requested due to change of mind). 3. Althea does not take ownership of returned items until the item arrives at Althea’s office. At our discretion, a refund may be issued without requiring a return. In such a situation, Althea does not take ownership of the refunded item. For more information about our returns and refunds, please view our return policy. Althea attempts to be as accurate as possible. However, Althea does not warrant that product descriptions or other content of this site is accurate, complete, reliable, current, or error-free. If a product offered by Althea itself is not as described, your sole remedy is to return it in unused condition. Except where noted otherwise, the List Price displayed for products on our website represents the full retail price listed on the product itself, suggested by the manufacturer or supplier, or estimated in accordance with standard industry practice; or the estimated retail value for a comparable item offered elsewhere. The List Price is a comparative price estimate and may or may not represent the prevailing price in every area on any particular day. With respect to items sold by Althea, we cannot confirm the price of an item until you order. Despite our best efforts, a small number of the items in our catalog may be mispriced. If an item's correct price is higher than our stated price, we will, at our discretion, either contact you for instructions before shipping or cancel your order and notify you of such cancellation. This policy applies only to products sold and shipped by Althea. This site and all information, content, materials, products and services included on or otherwise made available to you through this site are provided by ‘althea’ on an "as is" and "as available" basis, unless otherwise specified in writing. Althea makes no representations or warranties of any kind, express or implied, as to the operation of this site or the information, content, materials, products (including software) or services included on or otherwise made available to you through this site, unless otherwise specified in writing. You expressly agree that your use of this site is at your sole risk. To the full extent permissible by applicable law, Althea disclaims all warranties, express or implied, including, but not limited to, implied warranties of merchantability and fitness for a particular purpose. Althea does not warrant that this site; information, content, materials, products or services included on or otherwise made available to you through this site; their servers; or electronic communications sent from Althea are free of viruses or other harmful components. Althea will not be liable for any damages of any kind arising from the use of this site or from any information, content, materials, products or services included on or otherwise made available to you through this site, including, but not limited to direct, indirect, incidental, punitive, and consequential damages, unless otherwise specified in writing. Certain country laws do not allow limitations on implied warranties or the exclusion or limitation of certain damages. If these laws apply to you, some or all of the above disclaimers, exclusions, or limitations may not apply to you, and you may be entitled to additional rights. Any dispute or claim relating in any way to your visit to Althea or to products or services sold or distributed by Althea or through althea.kr will be resolved by binding arbitration, rather than in court, except that you may assert claims in small claims court if your claims qualify. The laws of the Republic of Korea (“Korea”) apply to this agreement. Any legal proceedings brought in connection with disputes arising between Althea and any member from Althea services shall be submitted to the competent court having jurisdiction over the location of the head office of Althea. Matters not provided for in the Terms and Conditions shall be governed by the law of the Republic of Korea. Please review our other policies, such as our pricing policy, posted on this site. These policies also govern your visit to Althea. We reserve the right to make changes to our site, policies, and these Conditions of Use at any time. If any of these conditions shall be deemed invalid, void, or for any reason unenforceable, that condition shall be deemed severable and shall not affect the validity and enforceability of any remaining condition.